Made by Jefferies, the leading maker of children's socks and tights for more than 60 years, these sweet little ivory (pearl) nylon knee socks are the perfect choice for your baby, toddler, or little boy or girl. Ideal to wear with christening, special occasion, and portrait clothing. 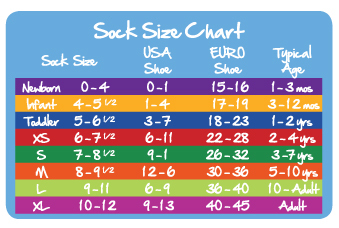 Please see sock size chart below to best determine correct size. These socks run quite large. You may wish to order a size smaller than usual. Note: These sweet little socks are also available in white cotton blend, navy cotton blend, white nylon, and navy nylon. See below.